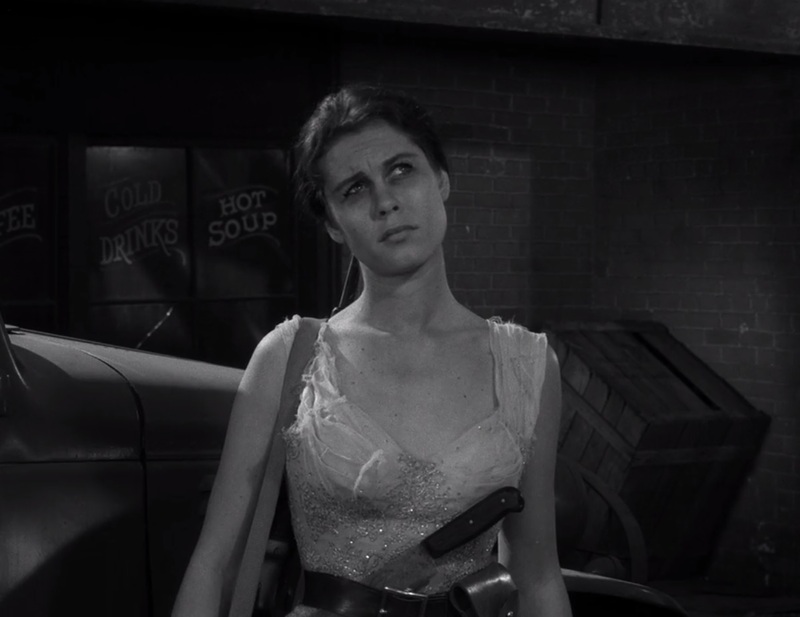 I’ve written about Twilight Zone’s writers. I’ve written about its directors. So how about TZ’s only writer-director? No, Pittman didn’t write that one. Everyone’s favorite extra-terrestrial whodunit was penned by the incomparable Rod Serling, of course. 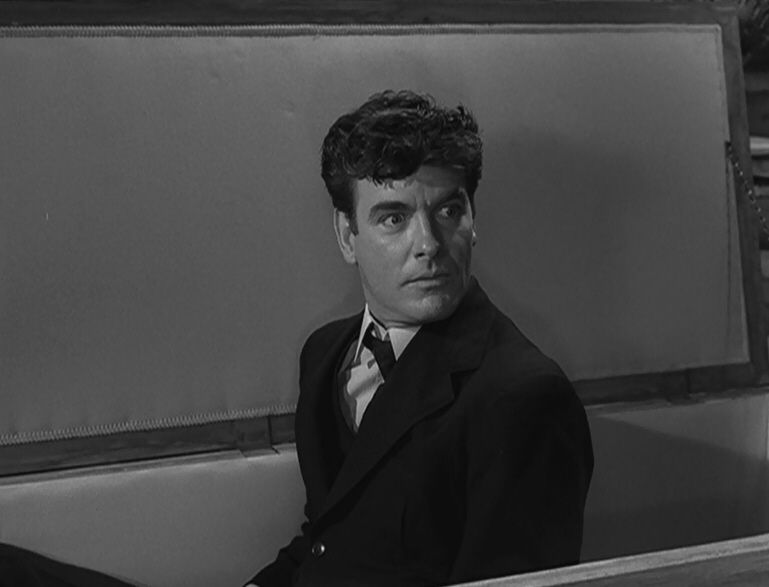 Pittman also directed one other TZ ep scripted by a writer other than himself (Charles Beaumont’s “Dead Man’s Shoes”). At a time when TV scripts tended to be pretty talky (many early TV writers, after all, had gotten their start in radio, Serling included), this near-silent look at the aftermath of what appears to have been an all-out nuclear war shows the power of pictures. An American male soldier and a female Russian one somehow manage to put aside their suspicions and find peace amid the rubble. 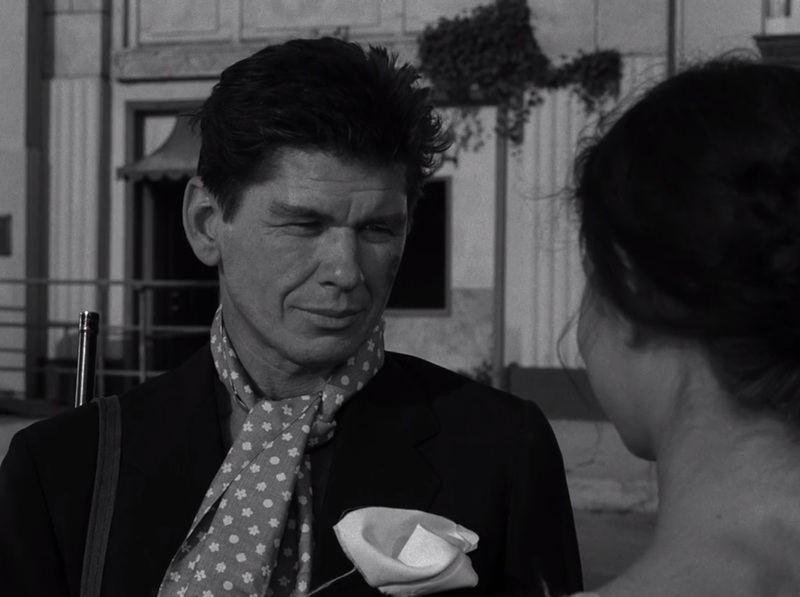 For anyone who thinks of Charles Bronson only as a violent vigilante in “Death Wish”, or of Elizabeth Montgomery as a button-cute witch in “Bewitched”, this episode is an eye-opener. Pittman showed they were capable of much more. 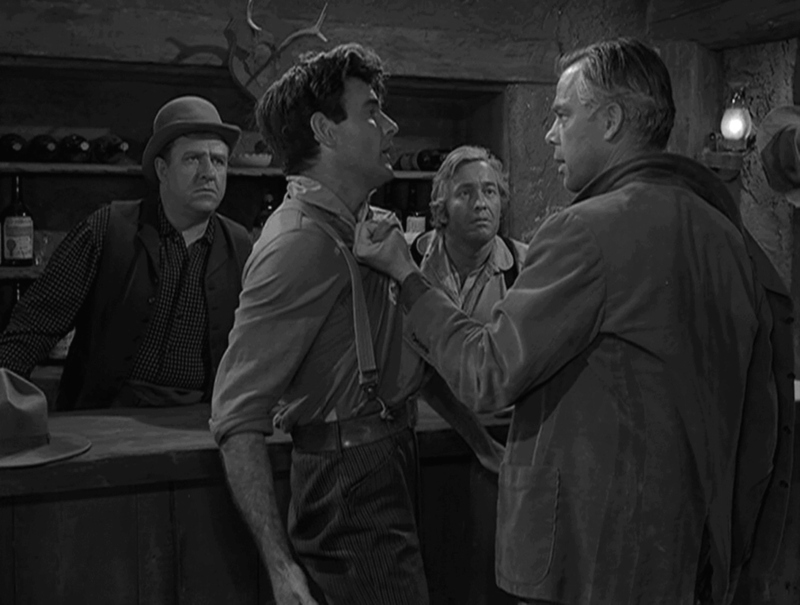 Tags: Charles Beaumont, Dead Man's Shoes, George Clayton Johnson, Montgomery Pittman, Richard Matheson, Rod Serling, The Grave, The Last Rites of Jeff Myrtlebank, Twilight Zone, Two, Will the Real Martian Please Stand Up? As someone who runs a Twitter page that quotes The Twilight Zone daily, I shouldn’t be a fan of “Two”, should I? The Season 3 opener, after all, is largely silent. On the contrary. I may not place it in my top 25, but I actually rate it quite highly. For an episode that doesn’t have much to say, “Two” says a lot. It’s anti-war, but not in a preachy, haranguing way. It’s a quiet look at the futility of engaging in an all-out nuclear holocaust with people who, in the end, are a lot like us. And by not shouting, it conveys that idea more powerfully. Writer-director Montgomery Pittman, who also did “The Grave” and “The Last Rites of Jeff Myrtlebank”, deserves a lot of credit. Even after we become adults, the old school-yard taunt never quite loses its power. Oh, we find more sophisticated ways of expressing it, if only to reassure ourselves that we’ve grown up. We’re not kids anymore. But the sting of being thought a coward is still so abhorrent that shaking off a dare isn’t easy at any age. 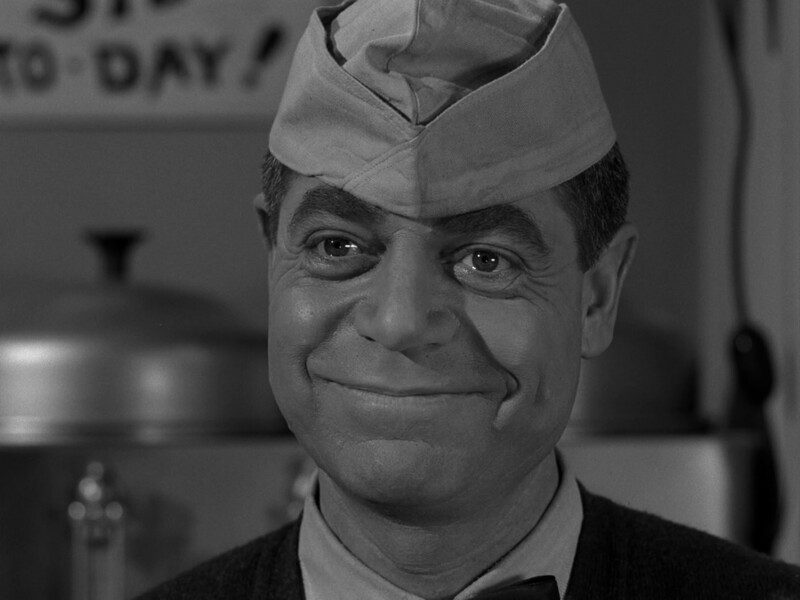 Recently I was contacted by a reporter working on an article about the latest release of The Twilight Zone on DVD. We talked about many aspects of the show, but the first thing he asked was why I thought it continues to have such lasting appeal. It’s a fair question. I mean, it’s been 50 years! TV shows come and go by the truckload. In an age of digital streaming and CGI wonders, what accounts for the popularity of some black-and-white series that premiered back when Dwight Eisenhower was president? We’ve all heard about weddings that didn’t go off as planned. Funerals, however, tend to be far more predictable. Unless, of course, they happen in the Twilight Zone. 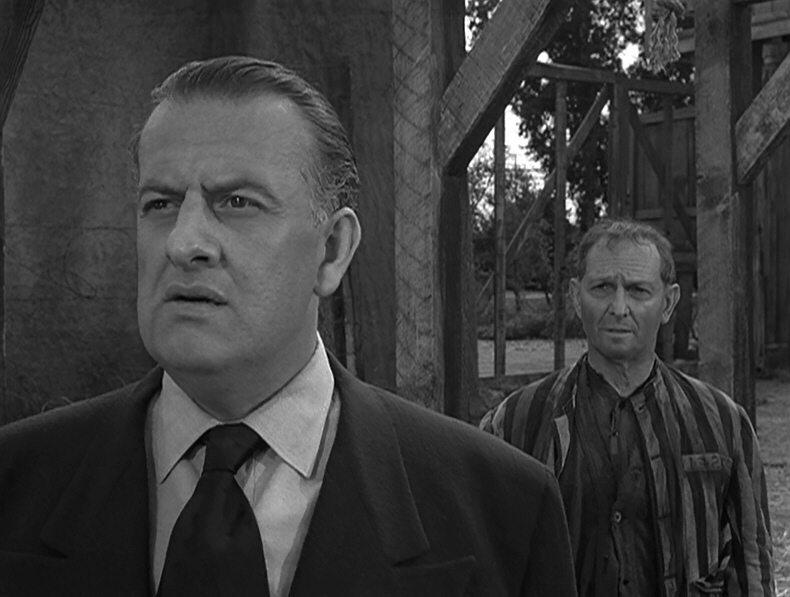 Fifty-one years ago today, Rod Serling brought us the tale of a man who decided to cheat the undertaker in the most dramatic way possible. He opened the lid of his coffin even as the preacher was eulogizing him. The astonished congregation couldn’t have fled the premises more quickly if Satan himself had turned up to demand equal time.